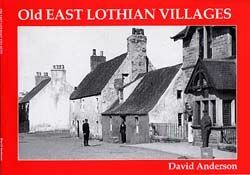 This book covers a huge area of East Lothian with photographs of the following villages: Burnfoot, Stenton, Cockenzie, Port Seton, Oldhamstocks, Innerwick, Spott, Garvald, Nuraw, Gifford, Ormiston, Aberlady, Gullane, Dirleton, Whitekirk, Tyninghame, West Barns, Belhaven, Broxburn, Thorntonloch and Dunbar. Photographs include women fieldworkers in 'ugli' headgear, Boat Shore fish market fishwives, Whitekirk Church after it was set alight by members of the Edinburgh Women's Suffragette Movement in 1914, Oldhamstocks School House, Spott House, the ruins of Dirleton Castle and the opening of Ormiston's Miners' Institute in 1925. Histories include witch hunts and murder in Spott, industry on the Gifford water and the background to Belhaven brewery.